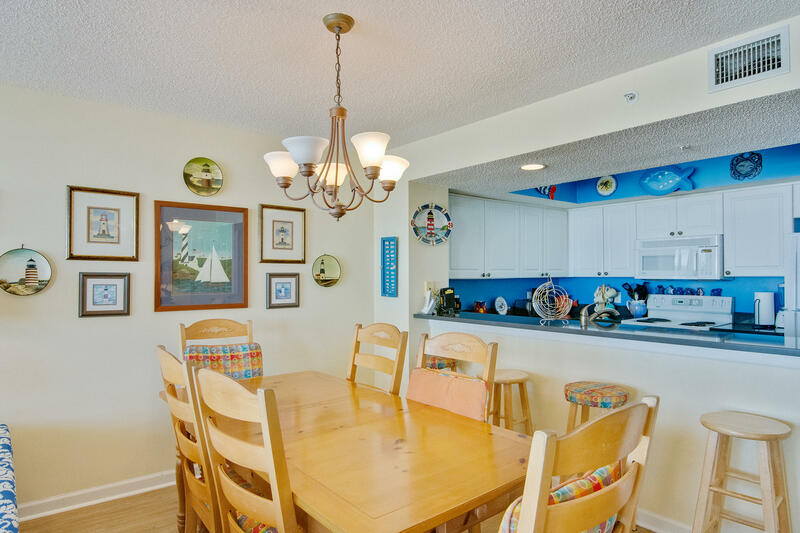 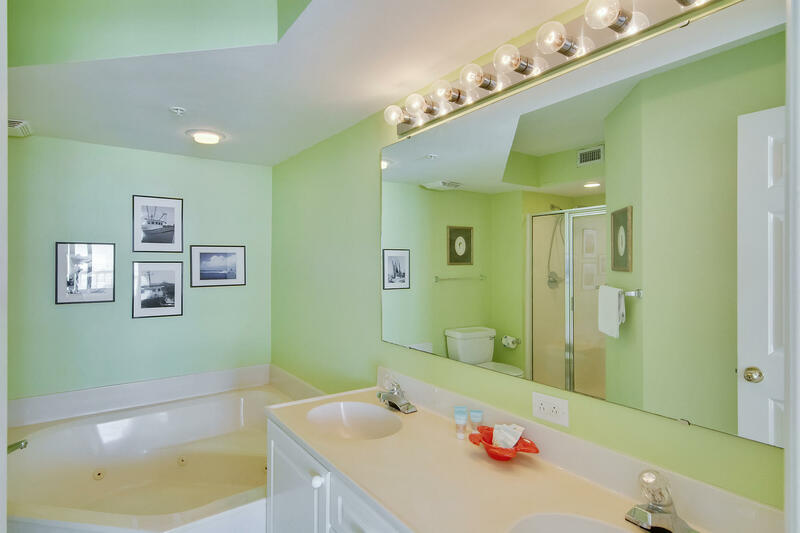 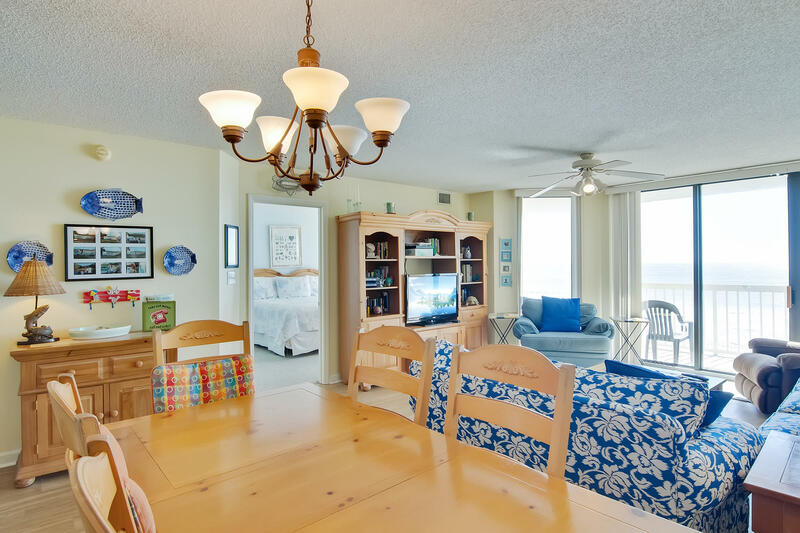 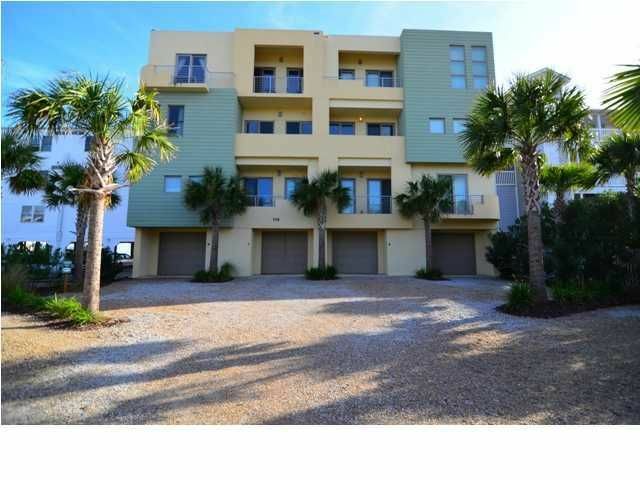 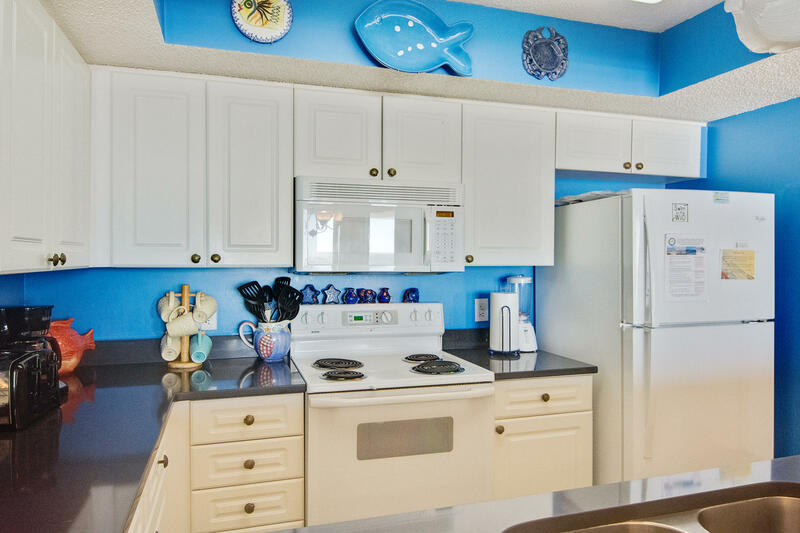 This large (4 bed/ 3bath) condo has magnificent views of the ocean and the Folly Pier. 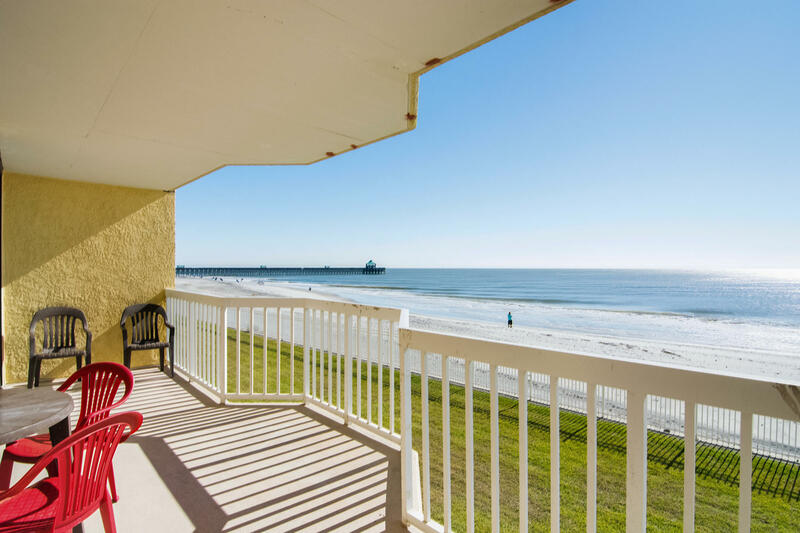 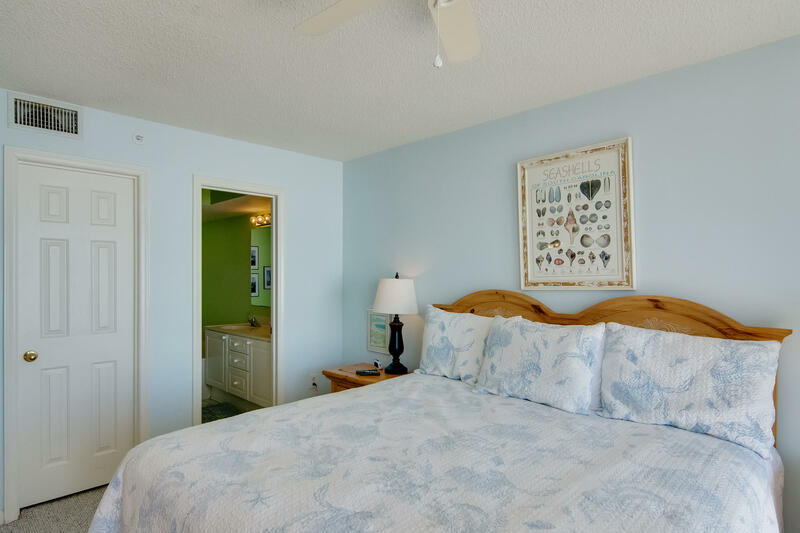 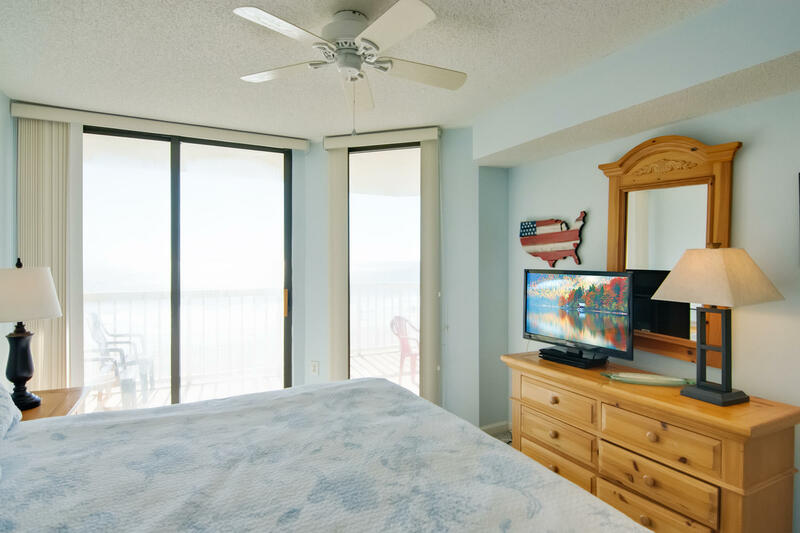 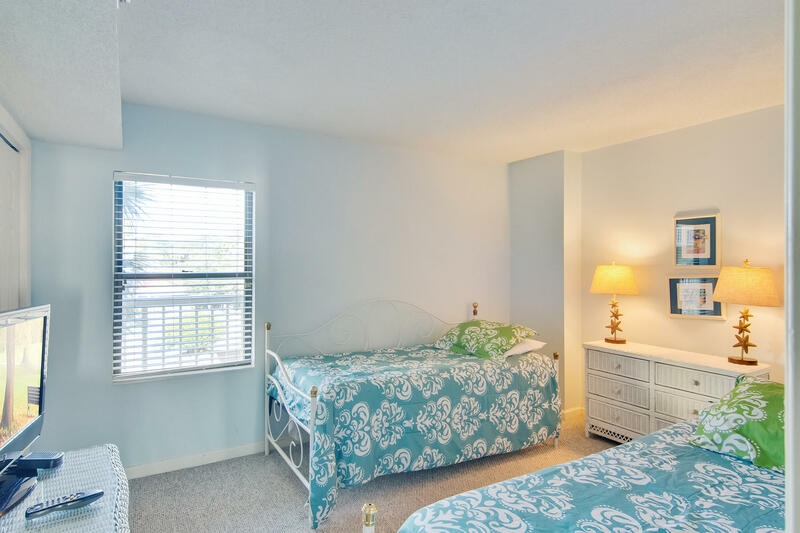 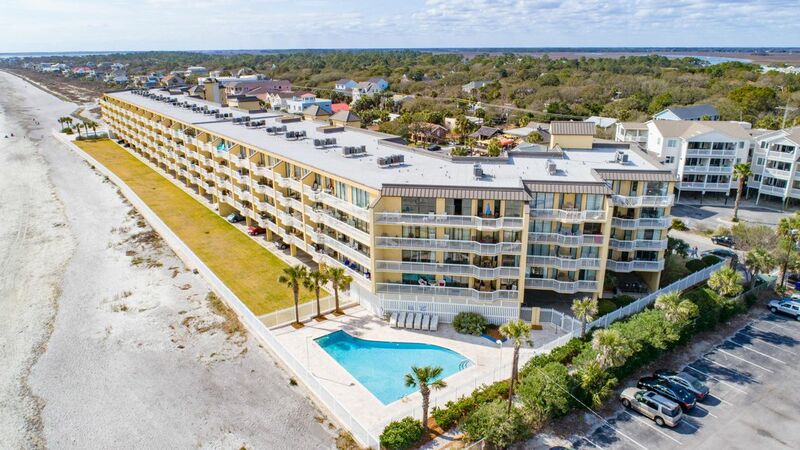 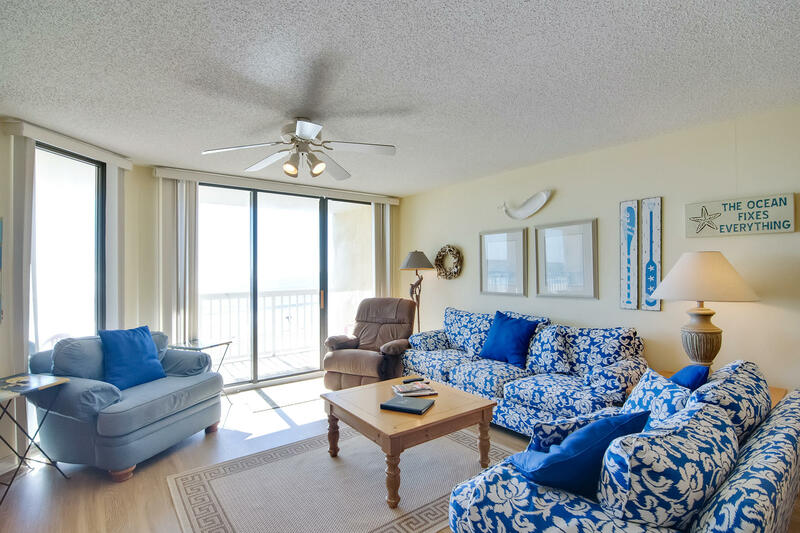 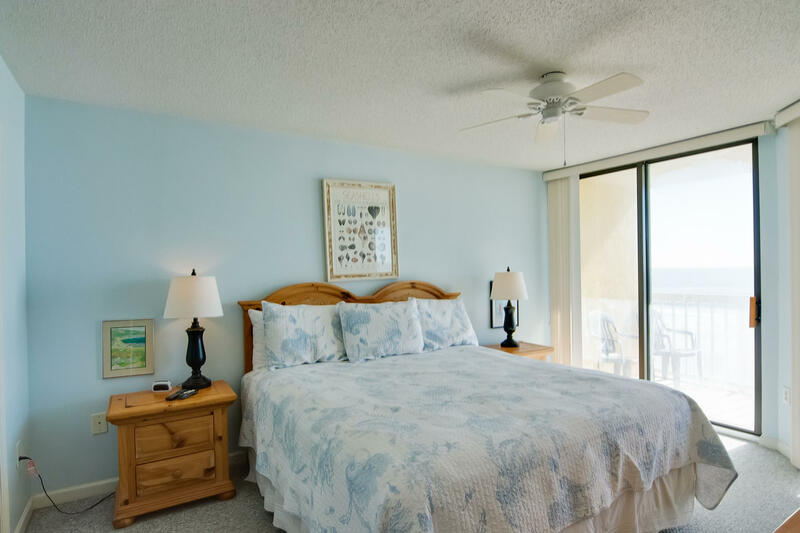 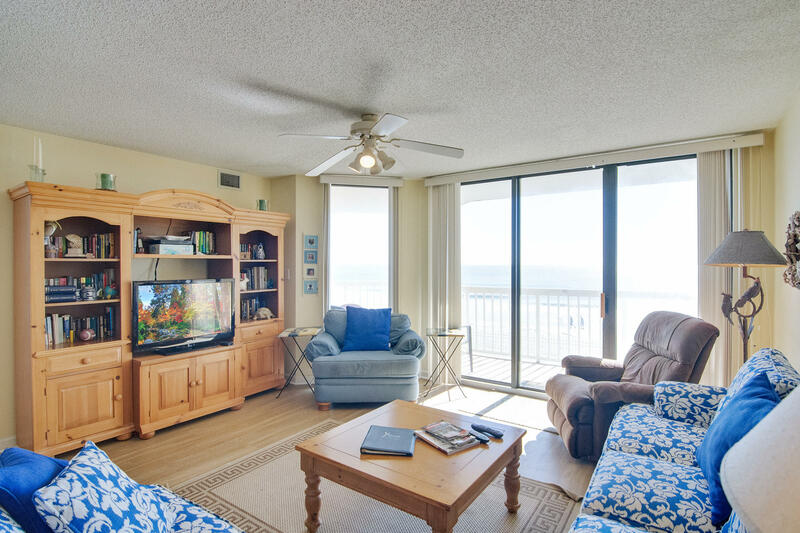 The ocean side balcony is covered providing shade from the afternoon sun.The kitchen/dining/living room and master bedroom open to the balcony via floor-to-ceiling sliding glass doors. 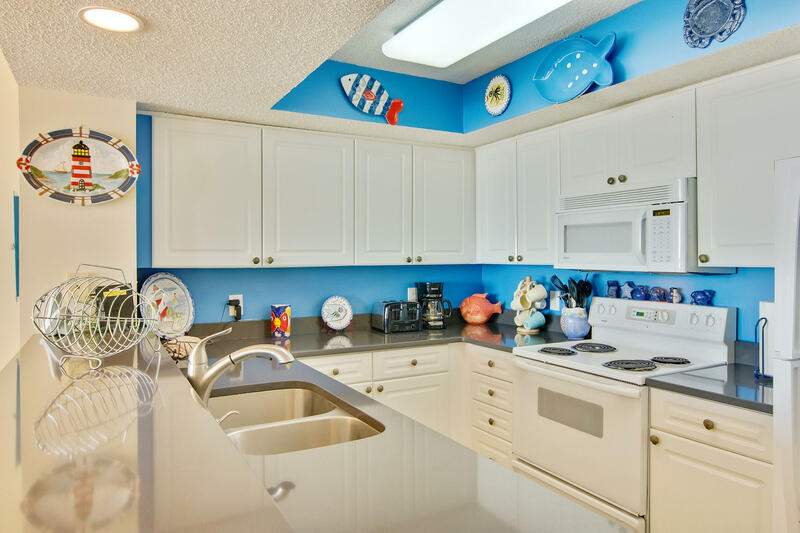 The kitchen is outfitted with quartz countertops and an undermount sink. 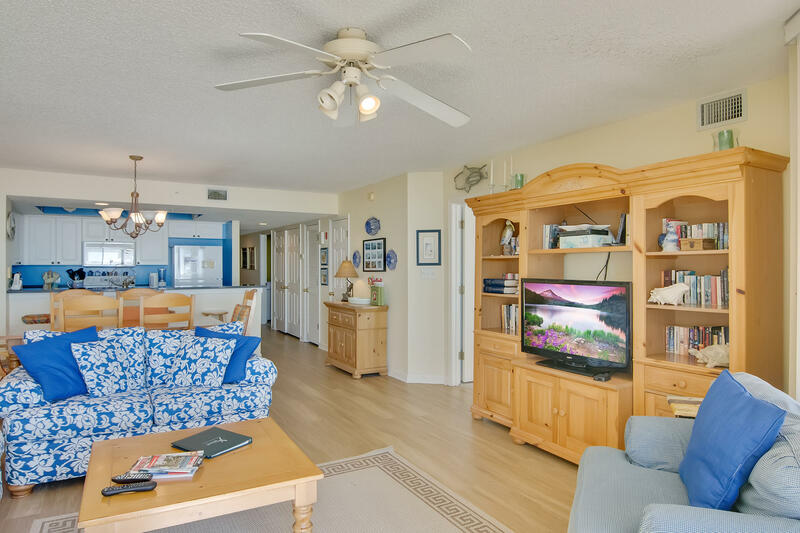 The flooring in the main living areas is a floating floor with a wonderful wood motif. 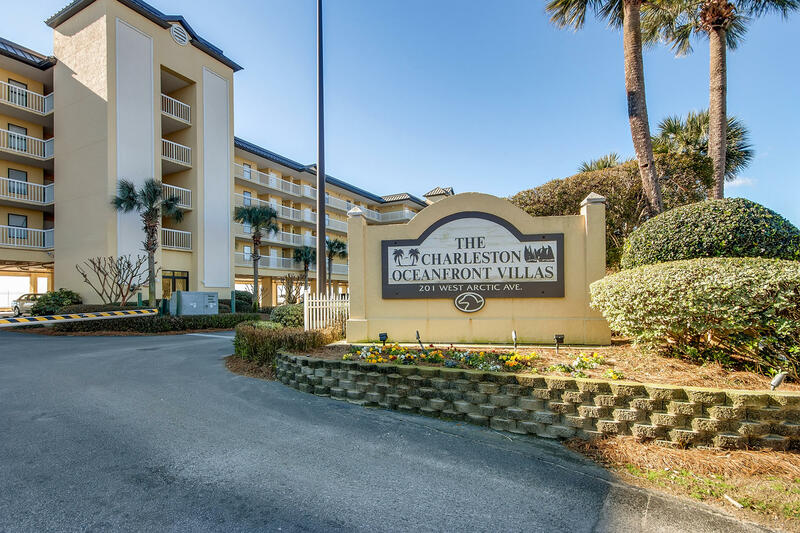 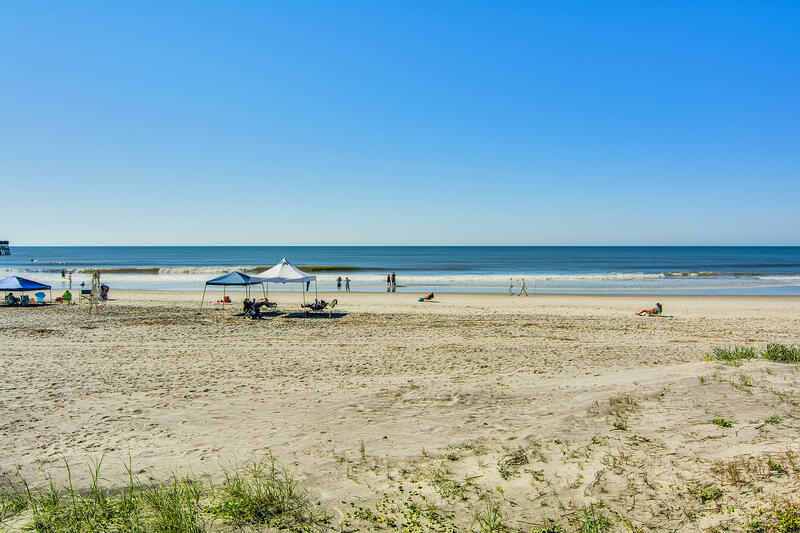 Charleston Oceanfront Villas are a great value for oceanfront property near historic Charleston. 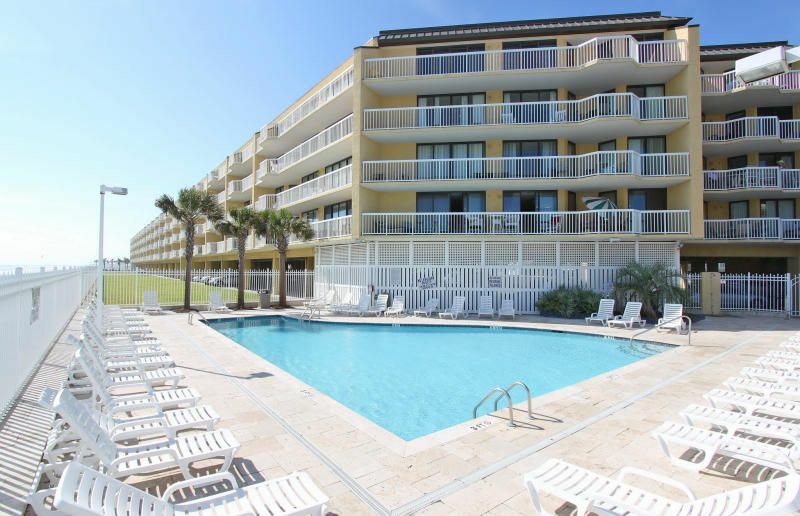 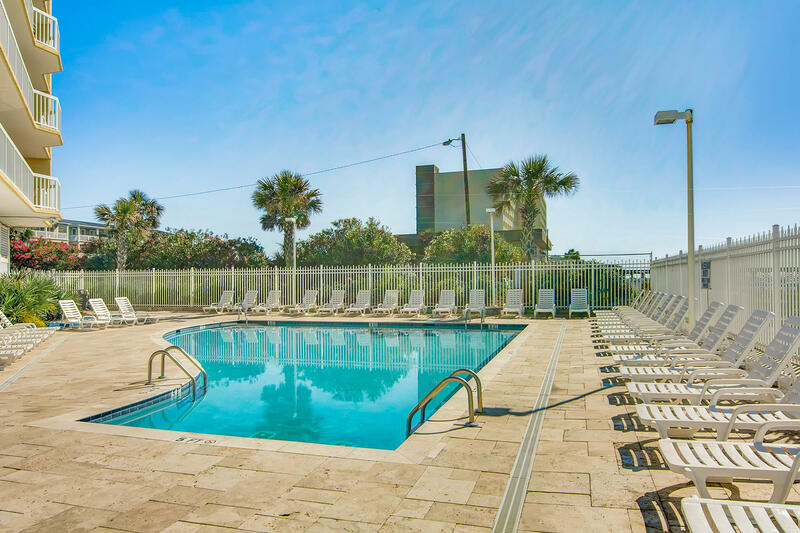 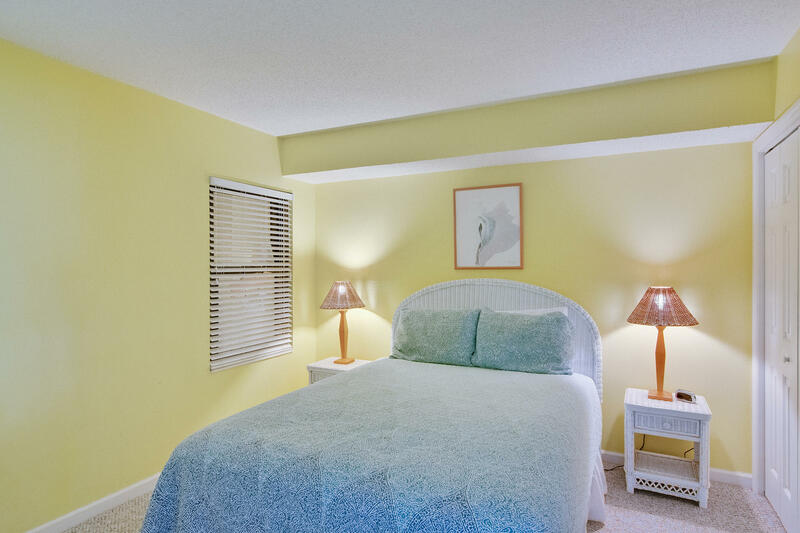 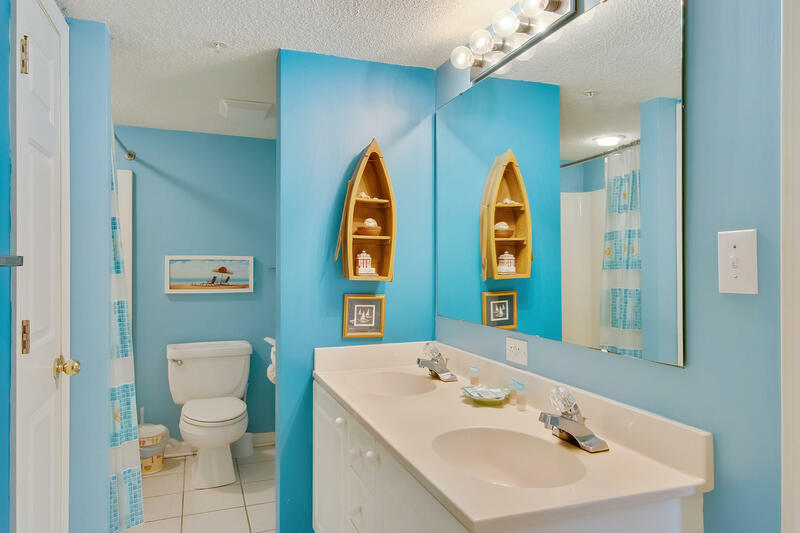 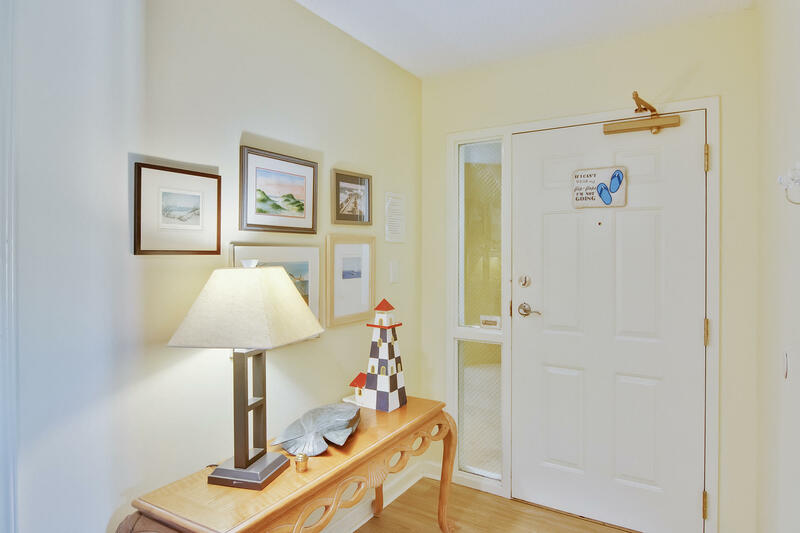 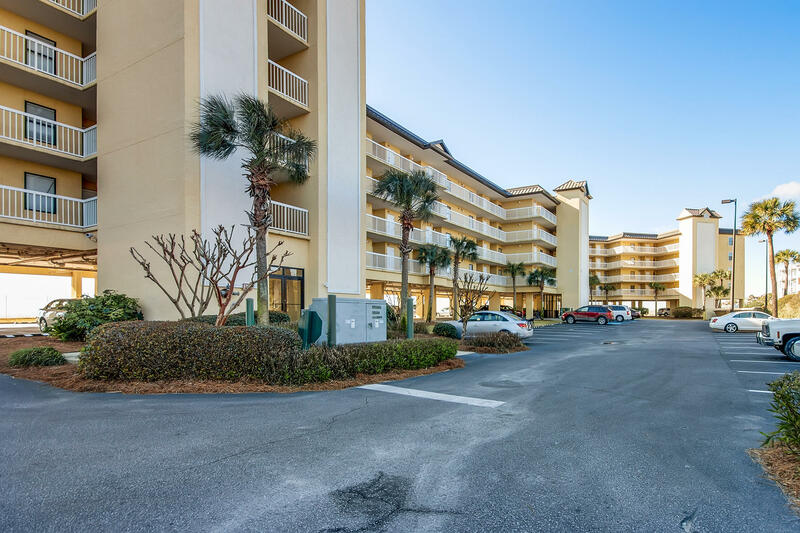 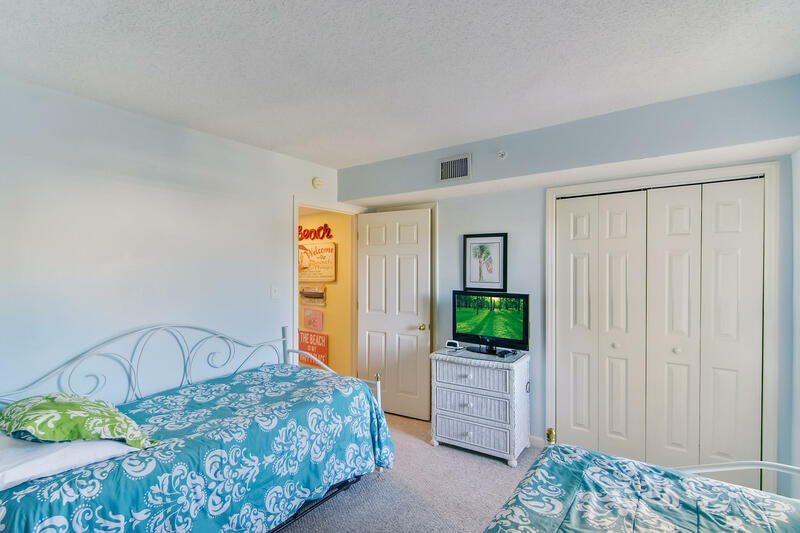 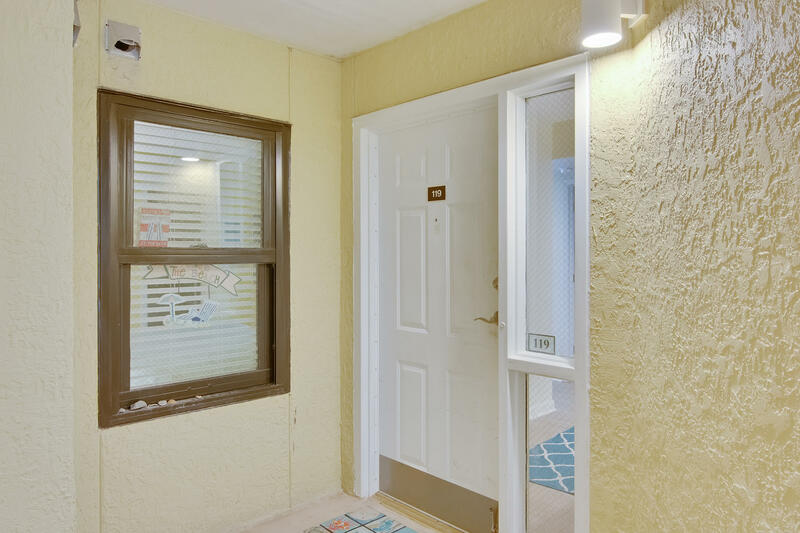 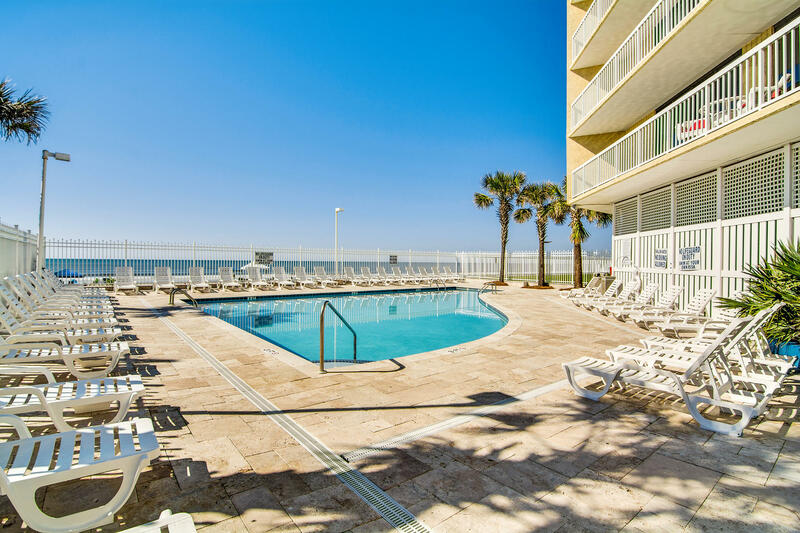 Amenities include elevators & two oceanside pools, which are popular w/children both young & old. 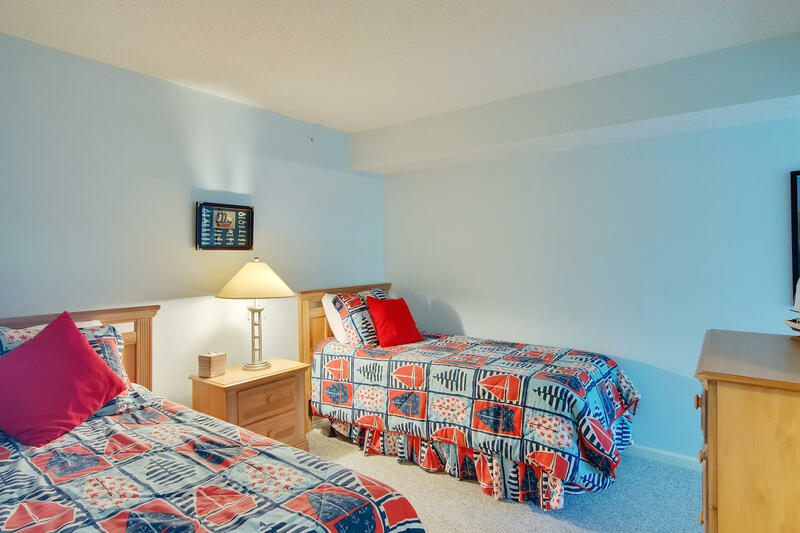 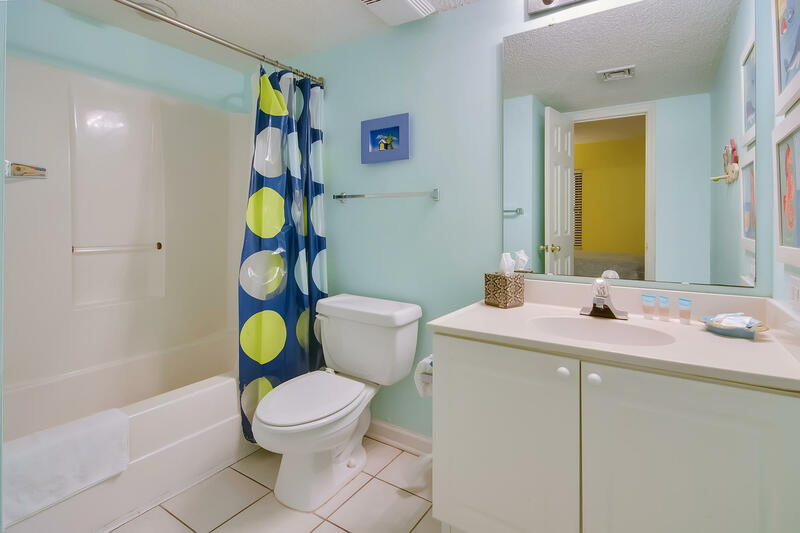 This condo has a lot of nice touches and is conveniently located in the heart of it all. 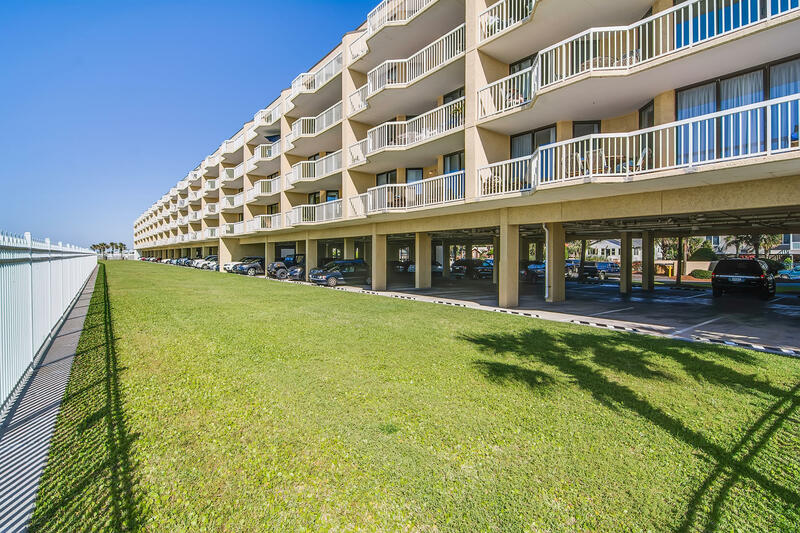 You can walk to the shops by day, or to the restaurants & bars at night.